Last week, the Pittsburgh Penguins made waves that reached across the National Hockey League by firing Head Coach Dan Bylsma and General Manager Ray Shero. Except that’s not how it happened at all. In fact, the Penguins ownership’s decision to fire Shero and only Shero shocked the media – who had reported that both would be shown the door – and fans alike. When Penguins Team President David Morehouse broke the news, the response was immediate. Since those reactions mostly came from social media, they were overwhelmingly negative. Predictably, the majority of those responses were vitriolic. For those playing at home, here are the cleaned-up, generalized versions of what was seen on Friday and over the weekend. 1] There is a process to be followed. Successful businesses avoid chaos. Period. The “fire everyone” mentality is strong among those with relatively little to lose or gain. Lemieux, Burkle and the entirety of the Penguins franchise have a lot more to lose by their actions that we fans do. While it may sound fatalistic, the decisions that are made with regards to the franchise’s immediate future could have long term effects on its continued viability. Bowing to the masses’ gladiatorial, bloodthirsty desires would be counterproductive to that end. A hard truth for many to accept is that Ron Burkle and Mario Lemieux are far more qualified than – I’d be willing to bet – anybody reading this piece. They know their timeline even if we don’t. It can be guaranteed that they have a plan. 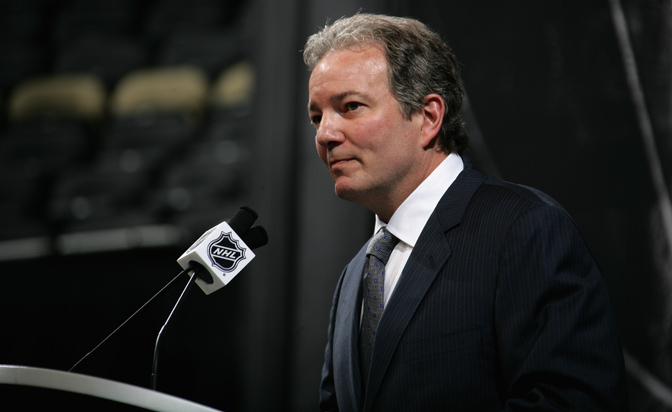 Over the summer, GM Ray Shero extended Dan Bylsma’s contract by two years. Immediately, the consensus was that by doing so, Shero had linked his fate with that of the former Jack Adams Award winner. In many ways that assessment was accurate given the two’s symbiotic relationship. 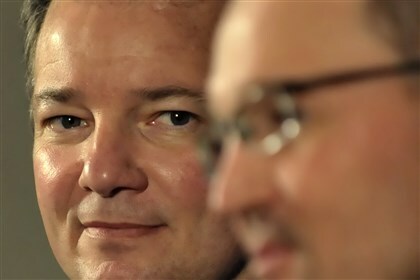 For the record, I think firing Ray Shero will end up a mistake. However, Shero aggressively did cast his lot with Bylsma and they failed. Bylsma, on the other hand, only committed to the Pens. That is his only job: to coach. If one must go, it, frankly, has to be Shero based on the fact that he is singularly responsible for far more of the franchise’s woes – which, by the way, aren’t too bad relative to much of the rest of the league. That’s not to say Dan Bylsma shouldn’t, or won’t, meet the same fate. General Managers have many jobs, including that of hiring and firing coaches. To the dismay of many fans, while the search for a new GM continues, there will be no coaching changes. It’s actually important that that be the case. Any candidate for the position will be weighing the positives and negatives of taking the job. He knows that they will be building a team around some of the world’s greatest hockey players. They see that ownership is willing to spend the money to win. They also know about the daunting salary cap situation awaiting the team in the off-season. What if the new GM keeps Bylsma? Retaining the services of Dan Bylsma, even as a “Dead Man Walking,” benefits the search in a few different, albeit related, ways. First, not taking Bylsma out of the equation leaves all options on the table for the incoming GM. Secondly, if the GM should choose to relieve Bylsma of his duties, he will own that decision. The third way is that by allowing for all possible options, ownership immediately establishes a level of trust and respect with the new GM, as opposed to offering the perception of having interfered with the process preemptively. And as for Lemieux and Burkle not handling the press conference personally, David Morehouse has a job to perform, too. And he handled it well. Like the majority of sports fans and bloggers, I am not an expert on many aspects of hockey. I love the sport, but have never run a team in an executive position at any level. I have never pulled the trigger on an NHL-level deal. My hockey coaching experience, to this point, begins and ends at the Bantam level. I am not qualified to make decisions for an NHL franchise. More importantly, I recognize that. Far too often, we, as fans, fall into the belief that we know more than we actually do. The Twittersphere is the perfect place to witness much of the egocentric nature of fans (and, yes, that extends to bloggers and the media). Instant reactions which rarely are retracted, instead gaining steam, regardless of validity. There exists, as David Henry (@iamau2fan on Twitter) calls it, a “binary” way of thinking. You either cheer every aspect of every move of a team or player or you despise them. You either agree with an individual’s opinion or you’re “stupid,” “an idiot,” or worse. There is no in between. While Ron Burkle, a self-made billionaire that started out as a box boy for his father, and Mario Lemieux, multi-time savior of hockey in Pittsburgh, figure out who the next GM is for the Pittsburgh Penguins, those with relatively little to lose will continue to insist that Bylsma should be fired. This is a tough one for a lot of people to swallow, but it’s true: Burkle and Lemieux have more to lose by being wrong than you do. Take just a moment and realize that they’re also more equipped to handle this situation than any of us.